Browse: Home / Video: Adam Ondra Training for the 2020 Olympics! 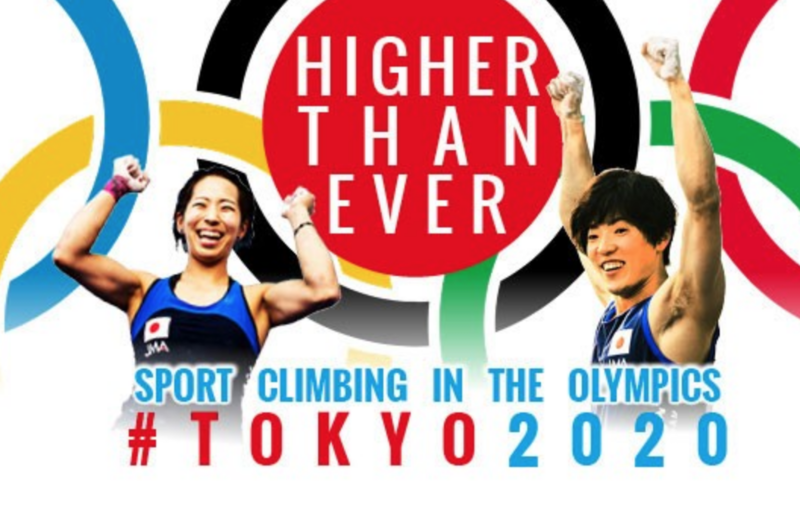 It’s been a dream for many…that will finally come to fruition at the 2020 Tokyo games! For some old-school climbers, however, “Olympics” and “climbing” are two words that just aren’t incompatible. Rather than descend into a rabbit hole of controversy, I’ll focus on the happy idea that our great sport will get massive exposure on a global stage. I know firsthand—as I’m sure you do too—the gift that climbing is…and how it can enrich our life and perhaps change our destiny. So why not share this great gift with the world? Moreover, the world’s top climbers are truly incredible athletes—they are, in my opinion, some of physically and mentally strongest human beings on this third rock from the sun. It would be a shame, then, not to see our favorite rock stars dynoing up an overhanging wall in the Olympics. The 2020 Olympics will be a far better show with Garnbret, Ondra, Pilz, Schubert, Verhoeven, Ghisolfi, Kim, Noguchi, Narasaki, Nonaka, and Megos competing! In this excellent Black Diamond video, Adam Ondra explains his mindset and preparation for the three-discipline Olympic climbing format that will first debut at the IFSC Climbing World Championships at Innsbruck, Austria on September 6 – 16, 2018. Keep in mind that this video is not intended to document Adam’s training (he’s unlikely to train all three disciplines in a single session), but rather introduce the viewer to the somewhat controversial Olympic climbing format. Adam Ondra training at the incredible Kletterzentrum Innsbruck facility. I have yet to meet a climber who’s happy with the IOC’s decision to award only all-around medals. This “combined” format requires climbers to compete in all three events—bouldering, lead, and speed—with only a single Gold, Silver, and Bronze medal being awarded to the top three men and women with the best all-around (combined) score. Why no individual event medals for bouldering, lead, and sport? Gymnastics, for example, has always awarded medals for individual events and the “all-around”. The inside story, as I learned at an IFSC presentation at this summer’s International Rock Climbing Researchers Association conference in Chamonix, is that the IOC only wanted to include speed climbing in the Olympics. This would mean awarding just one set of medals to each of the top three men and women speed climbers. It seems that IOC strongly favors speed-oriented events with objective performance metrics. Of course, most climbers (and the IFSC) desire to share with the world the awesomeness that is bouldering and lead climbing. Ultimately, then, the IOC and IFSC came to a compromise: All three climbing disciplines would be included in the Olympics, but with a combined scoring system that awards just one all-around men’s and women’s climbing Gold medal. I can accept this compromise—for now.